the early months of the year are our hiking season. the days are bright and blue, and the sun is just warm enough that after a few kilometers on the hills, your coat or sweater ends up tied around your hips. by mid-january, the fields are covered in clover, and almond blossoms explode in white and pink confetti all around. it’s the perfect time to tie the shoelaces and do some wandering. 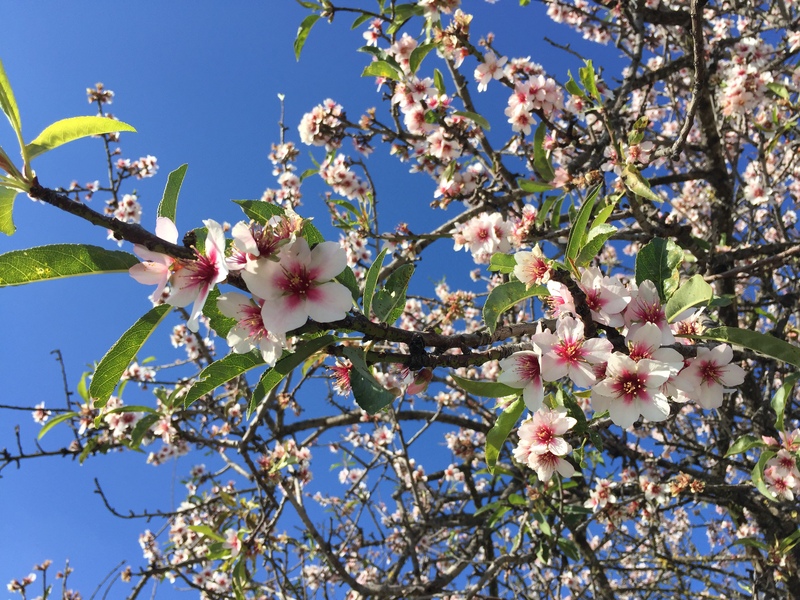 the season needs a start though, and for the past few years we’ve embraced the “festa das chouriças” (smoked sausage fair) in querença as the launch of our hiking season. 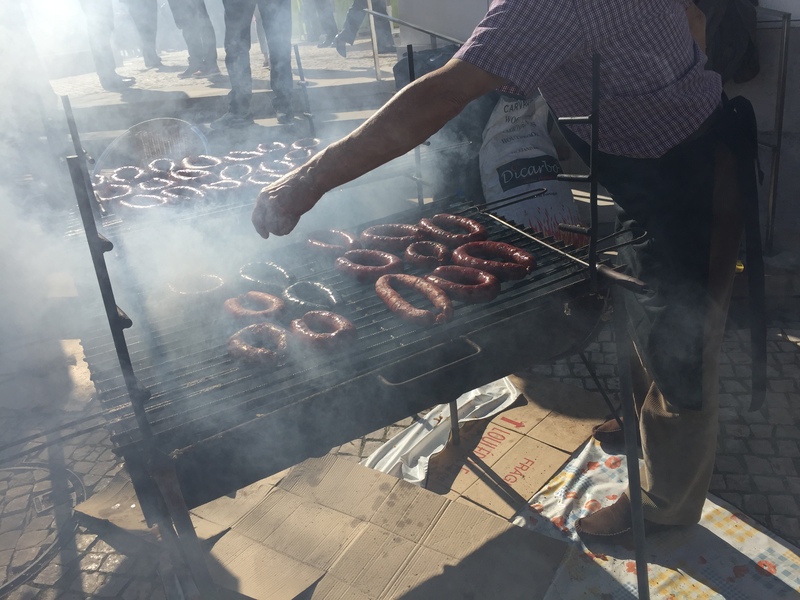 on the third sunday of january, the little town gets together to celebrate their culinary heritage with a barbecue in their plaza. 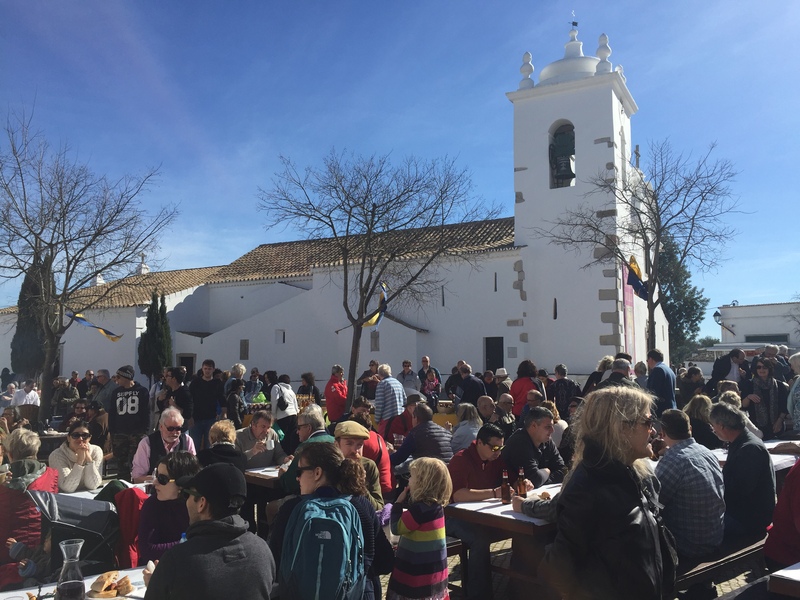 they bring out the sausages, wine and cheese, and people from all around algarve (including tons of foreigners) climb up the hill to taste all the deliciousness. it’s great! 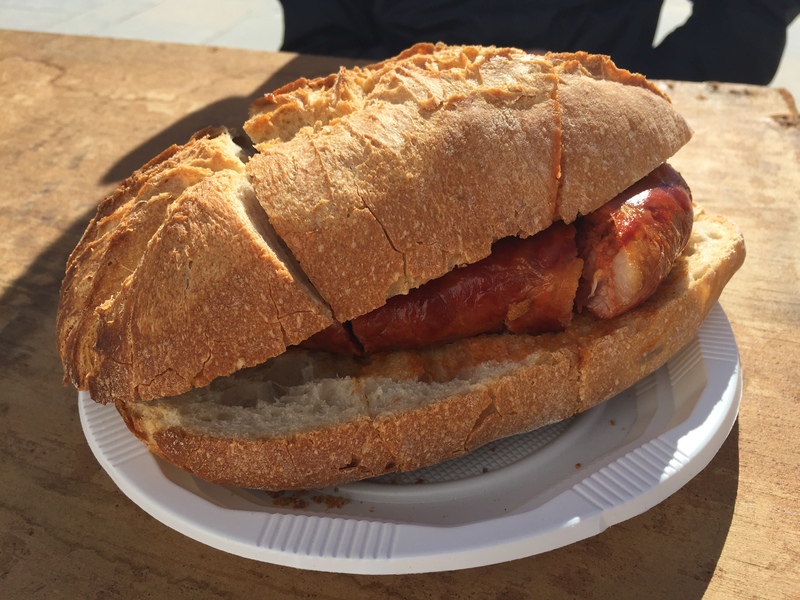 this year’s event took place last sunday, and there we were for the calories and motivation. the hiking season is off to a good start!